The educational experience we provide to our students focuses on reducing the out-of-pocket expenses required to enroll and attend. Our goal is to ensure every student acquires access to a quality affordable education. 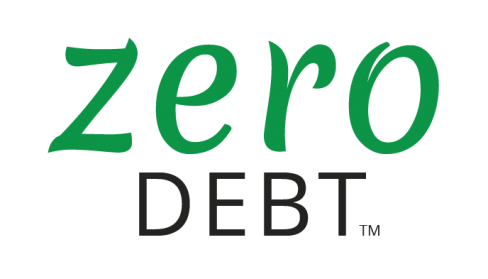 With our Zero Debt™ education model every student can attend without the burden of student loan debt, maintain a balanced and healthy financial life, and achieve their personal and career goals. Financial planning and management are integral to how we make Zero Debt™ education possible. Financial planning and management are integral to how we make debt-free education possible. The academy uses a unique approach to determining student financial need and eligibility. This includes calculating a student’s eligibility for financial assistance, verifying each student’s economic state, and previous academic performance. Currently, we assess each student’s financial need by their socioeconomic status and income level. The Federal Student Aid (FSA) office of the U.S. Department of Education has several financial aid programs that students with financial need can apply to receive financial aid. We intend to work with FSA to determine a student’s eligibility to receive financial assistance through the Pell and Federal Supplementary Education Opportunity (FSEO) grant, and work study programs. Student’s that meet our eligibility requirements can enroll and receive a temporary fee waiver based on their current income level. The My EduPlan™ product calculates the monthly out-of-pocket expense for a student based on his or her financial need, available financial resources for which he or she qualifies, degree program costs, and regular reporting of changing life situations/issues that can have an impact on their financial stability. With My EduPlan™ students can plan and manage their personal and family finances while they are in school. Students who work closely with their Financial Plan Advisors stay current and up-to-date with a managed educational profile that helps to reduce their monthly out-of-pocket expenses. We take a closer look at each student’s economic state to access their debt to income ratio. This gives a complete picture of a student’s economic state based on their monthly household expenses and monthly household income. This is an independent assessment in addition to the FAFSA assessment. A financial assessment is necessary to determine if each student is eligible to receive an Education Discount. We assess each student’s current or past academic performance to determine if he or she is eligible to receive a partial or full scholarship. No student loans needed or required!